This week has been one of those weeks...just looking forward to a 'Movie Day' with my love (which we couldn't do as planned last week). Hope you all enjoy the weekend and these great little home finds from Etsy and around. 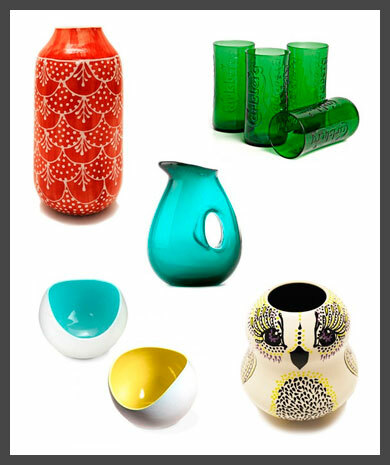 Shopping (browsing) for housewares always makes me happy...I'm loving the hand-painted vases by Stephanie Kao.